In Science, we learned a lot of chemical reactions by observing them. In February, we learned about exhaled carbon dioxide by putting vinegar in a plastic bottle, putting baking powder into a balloon, and then putting the balloon on the bottle opening and watching the results. 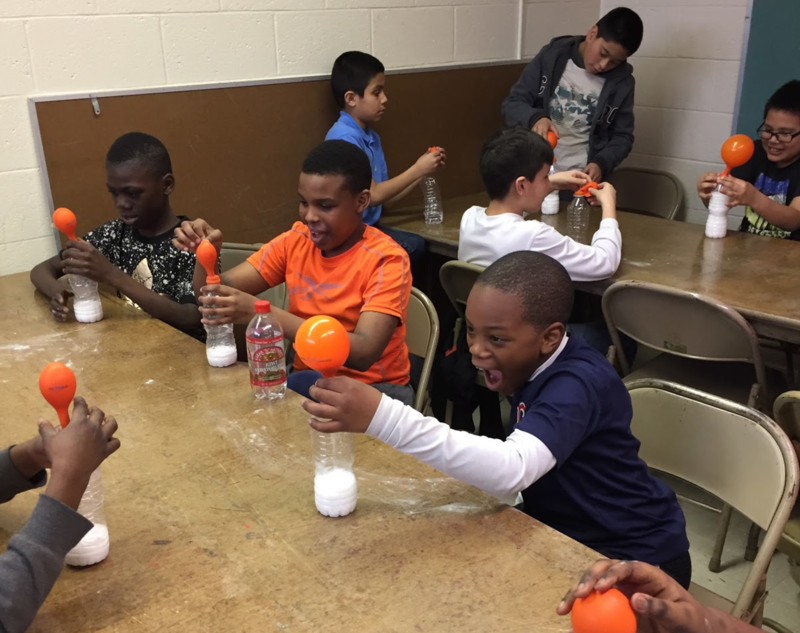 In March, we had a fun time making silly putty using white glue and liquid starch. Later in the month, we explored different chemical reactions, such as what happens when you combine baking powder and vinegar, or yeast and hydrogen peroxide.